It may be startling to know that Halloween is statistically the deadliest day for pedestrians being hit by cars. Nearly three times as many pedestrian deaths occur on this holiday as compared to any other day of the year. Of those deaths, the National Highway Traffic Safety Administration says 19 percent of the pedestrian deaths involve alcohol. Halloween is on a Friday this year, which could increase the chances of a pedestrian accident. Because trick or treaters can’t always rely on motor vehicle drivers to abide by the rules of the road or take their safety into consideration, it is up to pedestrians to keep themselves safe while out trick or treating. When going out trick or treating, the safest way to avoid becoming an accident victim is to follow the rules of the road yourself. This means using crosswalks and sidewalks, while paying attention to stop lights and traffic. Also, travel in groups minimizes the chance of being hit as a vehicle driver is simply more apt to see a group rather than an individual. Children under 12 should always have an adult present, even with a group. How a pedestrian is dressed plays a role in their safety and ability to avoid being an accident victim. Anyone trick or treating should be in a safe costume. This means they should be able to see clearly and move without risk of tripping, especially children. 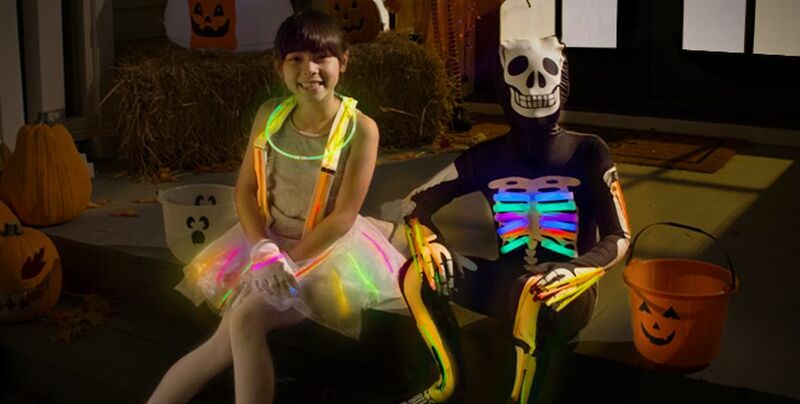 While many Halloween costumes are dark and ghoulish, a reflective strip in the right places can be a lifesaver. Knowing what kind of lighting a certain block or street has is also recommended as it can help trick or treaters and parents better prepare ahead of time. Teenagers are at the most risk, according to statistics. Anyone who is allowing their teen to venture out for some trick or treating fun should make a point of inspecting what they will be wearing. Simply sitting down and talking with teenagers about trick or treating safety and the possibility of being a victim of an auto accident is a way to minimize the chance they will be hit and injured. One simple tip to pass along to teenagers or kids of any age is to make eye contact with motor vehicle operators before stepping out into the street. This can help the pedestrian feel confident that the driver sees them. While no amount of preparation and precautions can guarantee every pedestrian will stay safe on Halloween, the more Halloween revelers are prepared, the less chance there is of injury or worse. However, if you or your child is injured as a pedestrian while trick or treating, it is important to remember you have rights. After securing the medical help you need, it would be beneficial to contact a personal injury attorney who can explain your rights. Our NH injury lawyers will document what occurred and guide you through the legal process to help ensure a full recovery for you or your childs injuries.